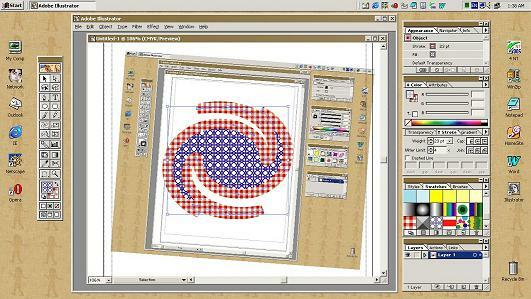 I got Adobe Illustrator, version 9.0. I can tell you it's getting better and better. Some new useful features, more integration to the web. I still have to try how well it would integrate with PhotoShop 6, which I still have in beta, and do not particularly want to install it on my new hot fast machine. Multilingual is getting a bit better in a way that I can type in Russian write from English locale, but Japanese is not there yet. It still works like on version 8 and Windows 2000 with Japanese as a default locale.